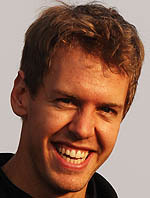 Sebastian Vettel: I'm pretty pleased. Yesterday I wasn't very happy with my own performance and with the car and I didn't feel that comfortable. Today was much better straightaway when we went out this afternoon, but this evening when the sun went down, I had a much better feeling and the car was more together. It came in my direction and helped us. McLaren looked strong throughout the weekend, but I thought if I get everything right then in Q3 then we might have a chance (for the pole) and that's the way it came for us. I'm very pleased with the pole and it's a very special one to equal Nigel Mansell as well. It's a fantastic year and it's not over yet, so I'm looking forward to tomorrow. Christian Horner: An unbelievable final lap from Sebastian, to get the pole in what was a really exciting final qualifying tonight. It's a remarkable achievement for him to equal Nigel Mansell's 14 poles in a single season, which by coincidence also happened to be achieved in an Adrian Newey designed car back in 1992, with a Renault engine. It was a tremendous achievement for Sebastian. In such a tight qualifying session, it all came down to the final run and Mark in P4 was only two tenths off the front row; it demonstrates just how tight it is this weekend. I'm sure we're set for a really exciting race tomorrow. Cyril Dumont, Renault: I think again today we had an incredible Vettel. This year is simply his year and today he has equalled Mansell's record for the number of poles gained in one season. He also equalled Fangio, in terms of number of poles gained in his career, so it's his year. It will be interesting tomorrow, Mark is not far away from the front either and we have some good memories from this track, so it will be interesting tomorrow to see where we finish. Check out our Abu Dhabi qualifying gallery, here.